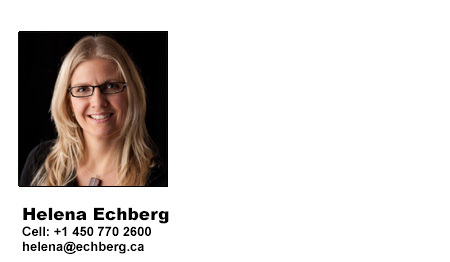 ECHBERG Distribution is owned by Helena Echberg and located in Dunham, Quebec, Canada. ECHBERG offer many years of industry experience and an extensive network of international contact. ECHBERG Distribution is a trading company selling equipment for the swine industry, from well known European companies. We provide a wide range of services, including management services, business assistance and consultation, import and export services for equipment, procurement services and sales promotion. In addition we can provide research, development and design services for equipment and installations and also offer installation, maintenance and repair services for the equipment and machinery. Our function is to assist our clients in the North and South American markets, to have access to a wide range of specialized products. We supply well tested and recommended products of high quality. Further, we offer layout and management expertise as well as a strong technical back-up and high service level. From our warehouse facilities, we can service our customers in a timely matter.